I have two updates from the Southborough Police Department. The first is a statement that police are seeking a suspect labeled as “possibly armed and dangerous”. The second is news of a bad car accident that could have had much worse results this morning. 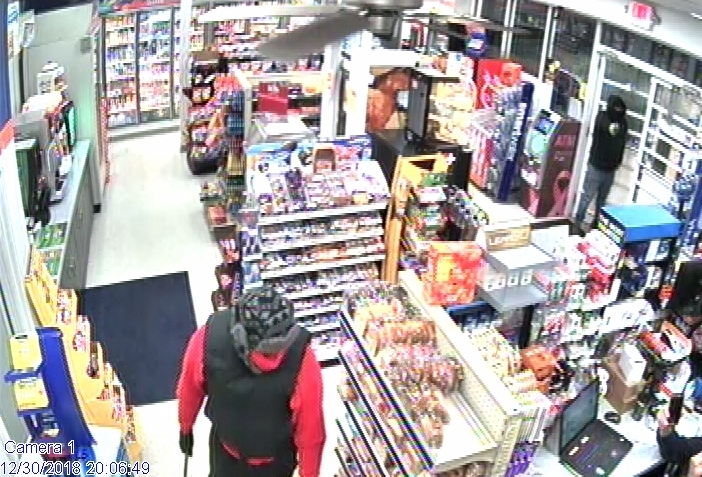 Earlier today, I posted that the SPD had been searching for a suspect in a past armed robbery. The SPD issued a press release this afternoon. Chief Kenneth Paulhus writes that they are looking for a 33 year old man who has been known to sometimes stay in Southborough. SPD is asking anyone with information to contact them. 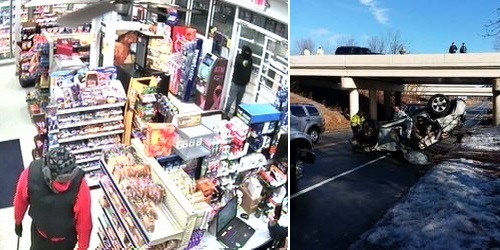 Southborough has been working with other Towns and the State police on the investigation into the December 30th armed robbery of the Gulf Express on Route 9 East. The crime they are seeking him for allegedly involved a handgun. But the release doesn’t specify if he is suspected of being the robber who wielded it or the one holding the crowbar. The second suspect is yet to be identified. 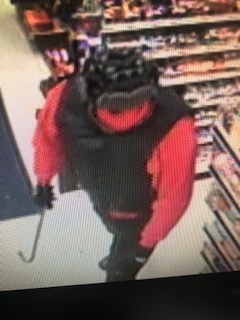 On, 12/30/18, an Armed Robbery occurred at the Gulf Gas Station located at 344 Turnpike Road. 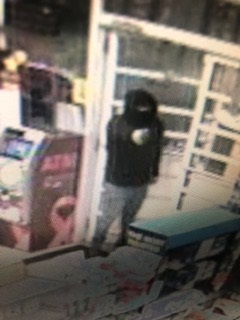 Two masked men entered the store, and assaulted the clerk before fleeing in a vehicle with cash from the register. Southborough Detective Keith Nichols was able to work with detectives from Hopkinton, Ashland, Framingham, and the MA State Police to identify one of the suspects, and the vehicle used in the robbery. A search warrant was executed yesterday evening at an Ashland address furthering the investigation. At approximately the same time, the suspect was located in a separate vehicle near the Madison Place complex on Turnpike Road. 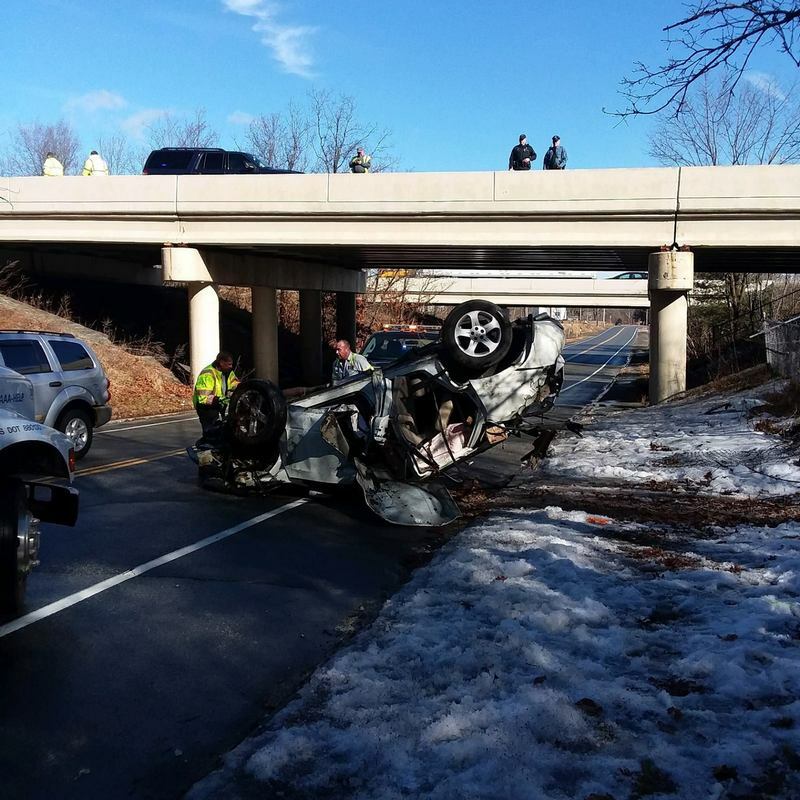 Southborough Officers pursued the vehicle eastbound on Route 9 before terminating near the MA Pike on-ramp in Framingham. 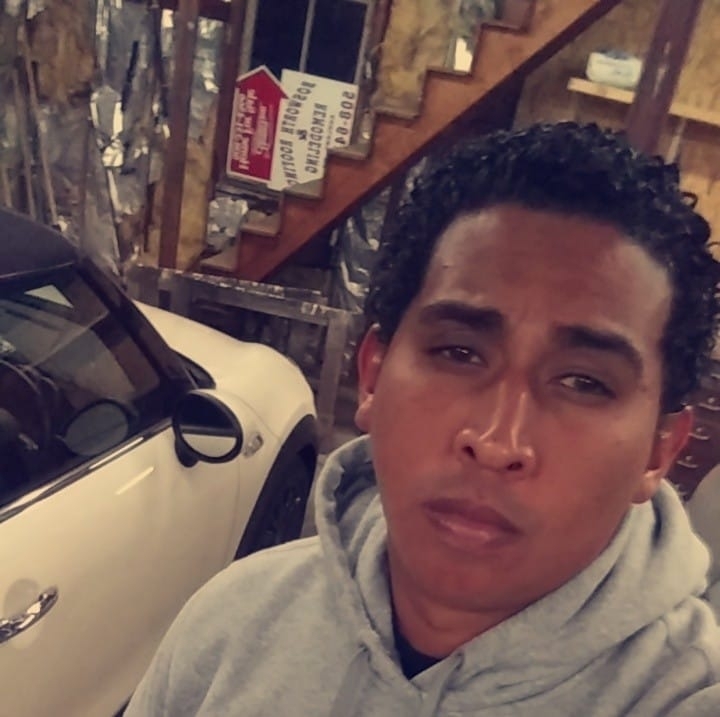 As a result of the investigation, an arrest warrant has been entered for Orlando Gonzalez (age 33) who has a last known address of 770 Water St. Apt. 3 in Framingham. He is also known to stay at 55 Cordaville Road in Ashland, and 1437 Madison Place in Southborough. He will be charged with ROBBERY, ARMED & MASKED 265/17/B, A & B 265/13A/B, LARCENY FROM A BUILDING 266/20/A, RECEIVING STOLEN PROPERTY 266/60/A, and numerous motor vehicle charges. He is considered to be possibly armed and dangerous. The identity of the second suspect remains under investigation. Any person having information should contact Detective Keith Nichols at the Southborough Police Department (774) 249-0355 or (508) 485-2121. Below are the other photos shared by the SPD, plus (from Facebook) a larger image version of the picture they shared of the suspect. 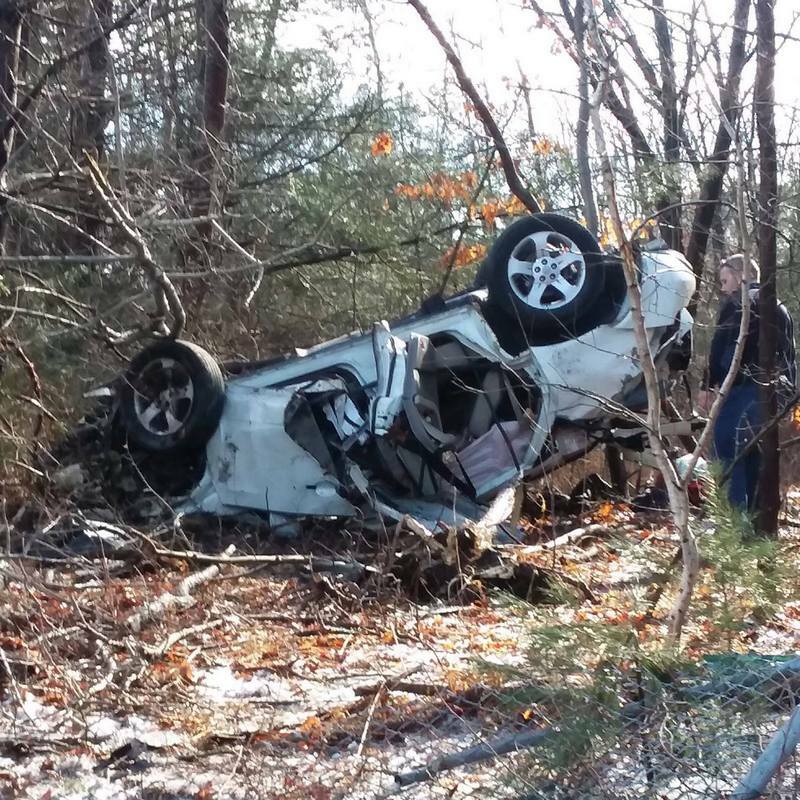 As for this morning’s car wreck, a Facebook post shared that from Route 495 landed beside Northborough Road. The car is shown as having landed upside down. 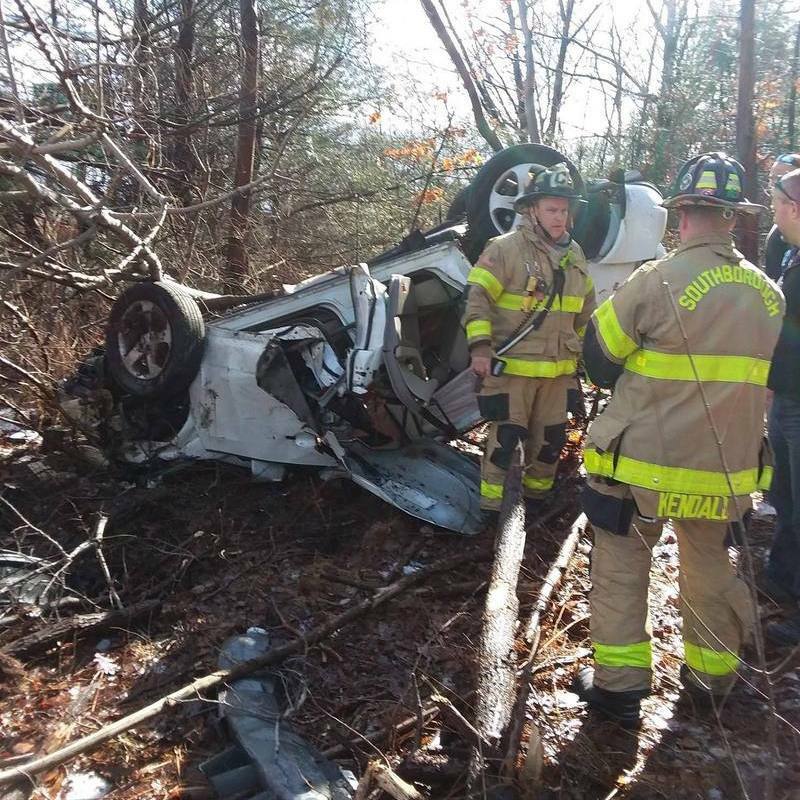 Thankfully, only one person, the car’s operator, was transported to the hospital. Even better, the driver’s injuries were reported as “non-life threatening”. Quite the ride… This vehicle was traveling on Rt.495 this afternoon when it left the side of the highway, through a fence, down an embankment, through another fence, across Northboro Rd, though yet another fence, up a small embankment & finally came to rest in a wooded area. Amazingly the single occupant received only minor injuries and no other vehicles were involved. No word has been released yet on the cause of the accident. (Updated 2/8/19 6:15 pm) I found the SFD’s Facebook post on the accident. Upon a second look at SPD’s post, I realize it stated the car landed beside Northborough Road, not on it.